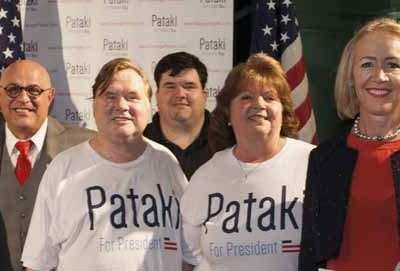 A contingent of Putnam residents including former First Lady Libby Pataki, the Noel family of Lake Carmel, Pat Sheehy of Carmel, and Katie Giachinta-DeMarco and former Putnam Legislator Vincent Tamagna of Philipstown appear Thursday at a rally for Pr… Please login below or purchase a subscription to the Putnam County Courier to access this content. 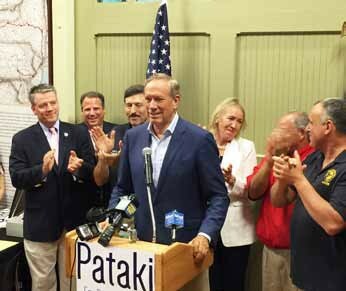 George Pataki, his wife Libby behind him in a white blazer, spoke Sunday to an enthusiastic audience in Peekskill about his race for president. Governor George Pataki of Garrison, the son of farmers who ascended to New York’s highest office, announce… Please login below or purchase a subscription to the Putnam County Courier to access this content. 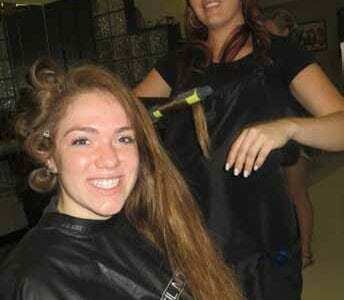 Stylist Shannon Gallipani prepares Katie DePaoli for her prom. Young women felt really special when entering On Line Hair Design in Brewster last Friday hours before their senior prom. For the 25th consecutive year, the salon located off Route 22 clo… Please login below or purchase a subscription to the Putnam County Courier to access this content. Residents in Putnam are on edge after a girl was attacked while her dog along Timberline Court in the Oscawana section of town this week. The Sheriff’s Department reported the incident afternoon. 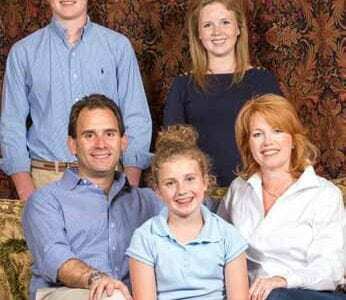 It at 5 p.m. Monday when 14-year-old was approa… Please login below or purchase a subscription to the Putnam County Courier to access this content. Kent Police Sgt. Michael Crawford waits for the owner of the residence to arrive with Jerry Zimbaldi and Mike Nallan while caring for the Tolf family dogs. 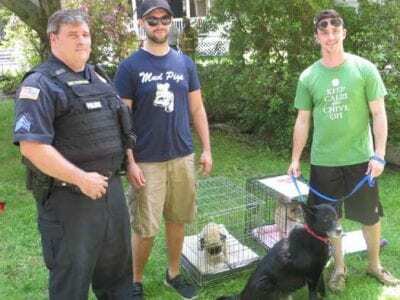 Jerry Zimbaldi and Mike Nallan of Putnam Valley are being hailed as hometown heroes after they… Please login below or purchase a subscription to the Putnam County Courier to access this content. A babysitter supposedly caring for seven month old twins was found unconscious last week from an apparent alcohol and drug overdose. Brewster State Police arrested Celimata Dionbera, 29, of Patterson on Thursday for endangering the welfare of a mino… Please login below or purchase a subscription to the Putnam County Courier to access this content. The Putnam Lake Fire Department may be one of the county’s smallest, but when it comes to saving energy and going green, the volunteer firefighting force is a giant. One hundred fifty solar panels have been installed on the fire station in dow… Please login below or purchase a subscription to the Putnam County Courier to access this content. Mahopac Public Library invites local, regional, emerging and established professional artists to submit exhibition proposals for the Library’s Third Floor Gallery and second floor exhibit space. Preference is given to work completed within the… Please login below or purchase a subscription to the Putnam County Courier to access this content. Putnam County Office for Senior Resources Computer Learning Center for Seniors will hold registration on Thursday, July 2, at the William Koehler Senior Center, 180 Route 6 in Mahopac and the Putnam Valley Senior Center, 117 Town Park Lane, Putnam V… Please login below or purchase a subscription to the Putnam County Courier to access this content.